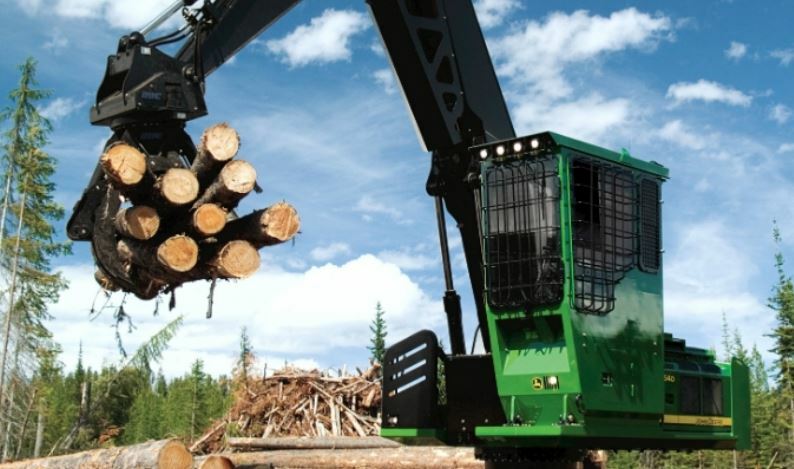 The risk of fire when working with forestry equipment is very real and can be very costly. There are steps you can take to protect your investment and limit the risk of equipment fires. We've put together a list of fire prevention tips that will keep you and your machinery safe. Everything from dry leaves to needles, branches to sawdust, even the smallest twigs can build up in your logging equipment and leave them susceptible to fires, especially in the engine. All of these wooded particles and debris are highly flammable, and unless they are removed early and often from your machine, you risk combustion. The best way to avoid these fires? Check for debris often! Newer engines, specifically the Tier 4 variety, run much hotter than their previous models. Being aware of this is important, so be especially careful with buildup of sticks and leaves when using a machine you know runs hot. Remember when you went camping as a kid (or as an adult) and tried so hard to rub sticks together to make a fire? Your forestry equipment is doing exactly that for however long you're using it. Keep this in mind as you remove more debris from areas near rotating components, and always be sure to wait until all parts have finished rotating before you attempt to remove any combustible materials. Wherever there's electricity, there's risk of starting a fire. This could be anything from a short in a wire, to overloaded systems or inadequate modifications made to the equipment on past jobs. Be sure that any electrical work done on your machinery is done by a certified technician to avoid unnecessary risk. It's also important to understand the risks that come with Ultra Low Sulfur Diesel (ULSD) when refueling your machine. Unlike earlier diesel fuel formulas that had a high sulfur content, ULSD contains a high ignition risk when being used. This is because static charges can easily build up in fuel delivery systems, allowing for even the smallest spark to ignite and result in a massive fire and explosion. While many of these preventative measures should be known, or at least somewhat known to you already, even the most experienced feller is prone to overlook them. When working in the outdoors, fire is always a risk. Throwing in heavy machinery only increases that risk. Simple, daily maintenance, fire suppression equipment and making sure your equipment is properly clean are just a few of many ways to stay safe and avoid fires while on the job.